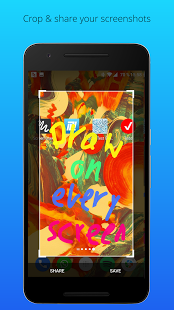 With Screen Draw Screenshot you can draw on every screen of your smartphone. Quick accessible, always and everywhere! 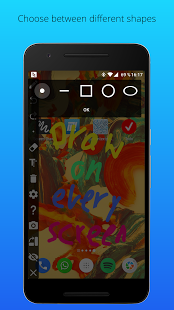 Screen Draw Screenshot is perfect for presentations, video tutorials or screenshots to highlight texts or images on the screen. 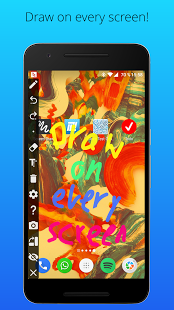 The Screen Draw Screenshot toolbox is individual placeable per drag and drop. 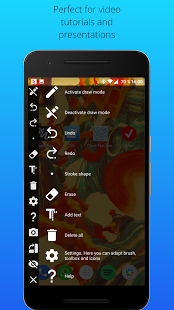 Addtional you can rotate the draw toolbox horizontal or vertical that you can place it at the best position on your screen or you just hide it in the notification bar. 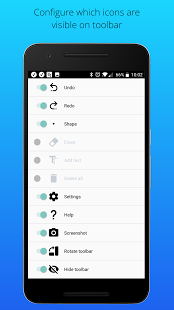 Forget the inconvenient steps and key combinations to take and edit a screenshot. 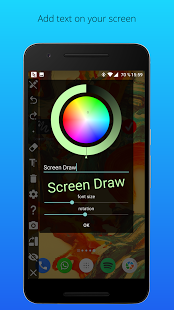 With Screen Draw Screenshot you can take screenshots with just 1 click! 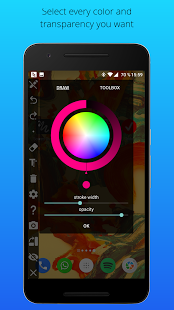 Activate the draw mode, draw or mark something and click on the screenshot button. 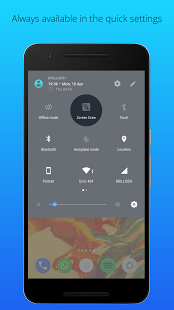 You can share your screenshot instantly!